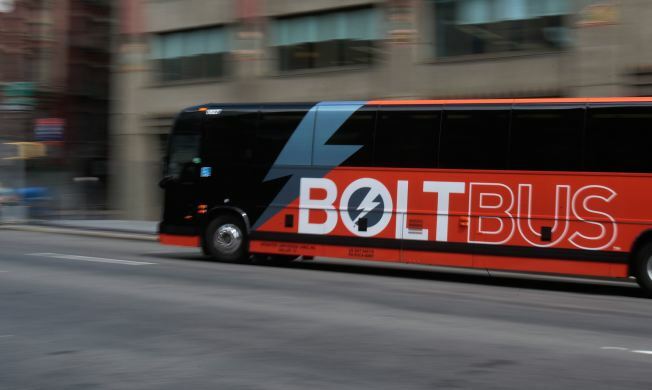 Bolt Bus will get more competion on its New York to DC-rouote with the launch of Tripper Bus. The new Tripper Bus Service on Thursday will enter the $1 bus race, offering "first class" service to the Washington DC metro area with tickets priced as low as $1. The new Tripper buses will offer free wi-fi service, power outlets, bathrooms on-board and a two-bag luggage allowance. Prices rise as high as $25 for the daily trips, which will use 34th Street and 7th Avenue as a base of operations in New York. On the other end, the bus will drop off passengers in Bethesda, Maryland or Arlington, Virginia. Many other cheap buses operate between NYC and the DC area, including GotoBus.com, BoltBus, DC2NY, MegaBus and Greyhound.